Rabbits a perfect first pets, notoriously famous for their cuteness and instantly looking hugable. One of the favourite animals we bring when visiting parties or schools. The interesting fact about this breed is that they can easily accept the baby of any rabbit and nurture it like their own. What does a Rex Rabbit look like? A Rex rabbit has the primary form of a bunny. They come in various colours such as: black, white, blue, castor, chocolate, sable, tortoise, seal, brindle, etc. Their fur thick, upstanding that looks and feels like velvet. 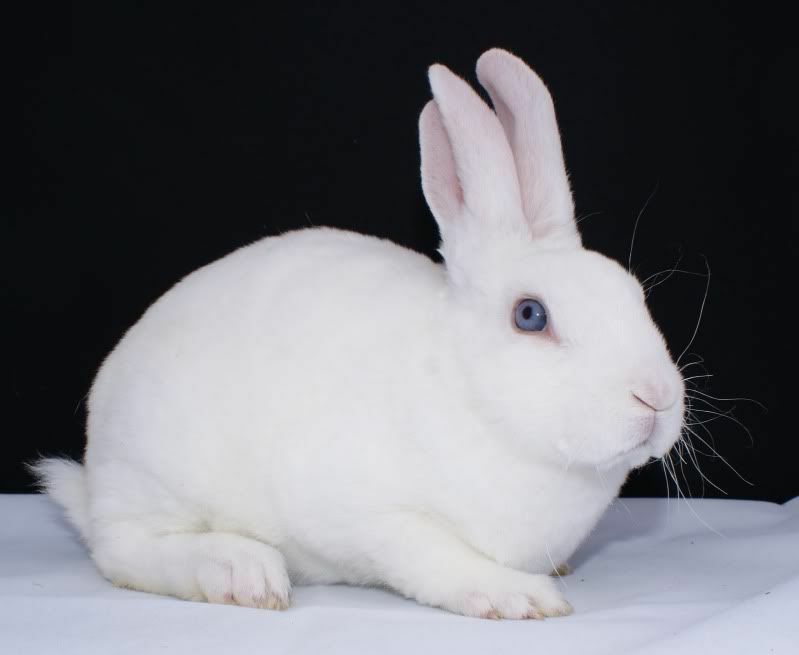 One of our rabbits is albino, meaning all the pigmentation has gone from them, resulting in them having red eyes. An average Rex weighs anything between 6 to 10.5 pounds, making it a fairly large rabbit in its family. They are from the mammal animal class, a common feature for a mammal is having fur or hair. Where do Rex Rabbits come from? The breed originated in France. Its origin was a litter of wild grey rabbits and has been developed over the years by fanciers and the fur industry. The Rex Rabbit was first shown publicly at the Paris International Rabbit. What do Rex Rabbits eat? Rabbits eat things such as pellets but most of all the food they enjoy the most is vegetables. Feeding your rabbit crunchy vegetables such as carrot means they can use their two front teeth which are perfect for chewing on hard food. How long does a Rex Rabbits live for? The rabbit lives for around 10 years if well looked after (False fact: Rabbits need the same medical care as dogs and cats. In fact, rabbits are tough animals and the main care you can give them is love and affection.) However, they are prone to cold and flu, so it is best to keep them indoors during extreme weather. Is a Rex Rabbit a good pet? Rabbits are a perfect first pet for a family with children or not. If treated well they become very affectionate. However, rabbits are not low maintenance; they need a lot of looking after. How do you look after a Rex Rabbit? 1) In a small cage but some hay in for bedding. 2)Not far away from the cage should be two bowls – one filled with fresh water (re-cleaned each day) and the second with fresh vegetables mixed with pellets. These rabbits are famous for eating a lot! But don’t be alarmed. 3) These rabbits do not need a lot of looking after, all they need is regular nail trims. 4)Obviously, you do not want your rabbit to poop everywhere so put a litter tray nearby. 5)Make sure you make lots of things for the rabbit to play with. 6)Make sure you groom your rabbit so that it doesn’t get all matted. 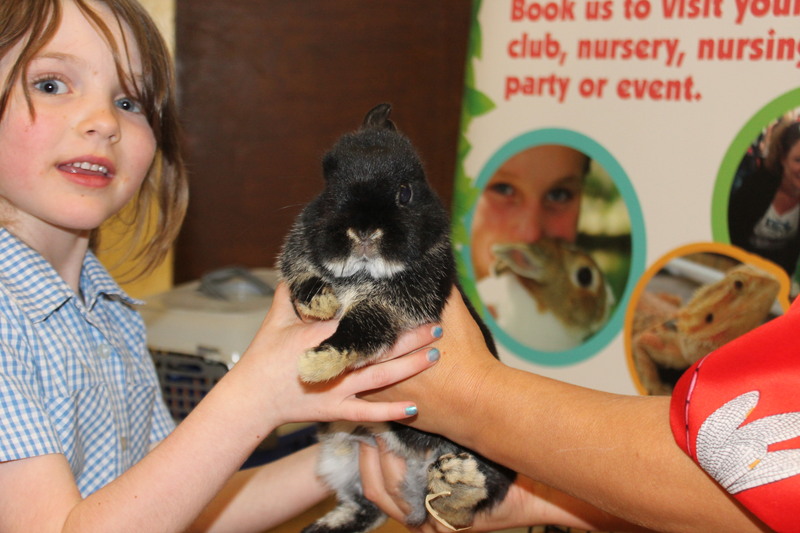 To have a personal encounter with the Rex rabbit and other amazing creature visit – Mobile Petting Zoo info page.